Mindfulness is awareness of whatever is happening in the present moment, around you and within you. You can be mindfully aware anytime and in any place! 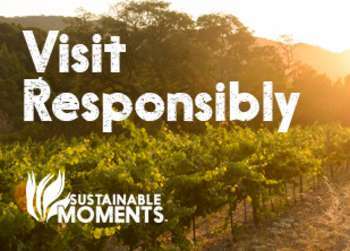 Being aware of your senses as you travel lets you be more present and actually appreciate what you’re doing as you do it, rather than rushing on to the next thing. 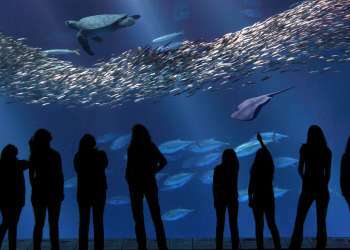 Here are two favorite ways to practice sensory awareness while on your next visit to Monterey County. Rent a stand-up paddle board near the commercial wharf and take it out on the bay. Grab one that’s broad and stable. If you’re new to this, you don’t even have to stand up—just sit or kneel. Paddle around the wharf, entering the harbor. As you go, take notice. Pause along the way to just sit or lie down on your board. Take it all in— the temperature and the smell of the air, the way your board and YOU bob up and down with the movement of the water, the way mist hovers or sunlight glints, sounds of birds and sea lions. Close your eyes (after finding a spot out of the way of boats!) and see how your experience changes. Pay attention to your internal landscape as well. What thoughts pass through the ocean of your mind? What emotions are here? Is there some nervousness or exhilaration? Perhaps awe? What is it like to not really try to get anywhere? Drive up and up and up to find yourself at Jack’s Peak Park. Pick a trail, any trail, and begin to walk slowly. Sense your body. How does it feel as you walk? Notice what the ground feels like underneath your feet—is it hard, soft, crunchy? What do you see around you, the trees up close, the glimpses of the bay in the distance? Do you hear birds, the voices of hikers, the swish of your clothing, your footsteps, your breath? Let yourself take in the sensory experience, your muscles engaging as you go up and down hills and on flat stretches. Feel yourself breathing in the fresh and clean air. Do your thoughts stay right here in your present experience? Do they jump around back to yesterday or what’s for dinner? See if you can just let whatever happens, happen—no need to change anything. Birds fly by, thoughts fly by, all of it just as it should be. You can try this on your own anywhere you are, even right now in this very moment. If you’d like a guide, Monterey Bay Meditation Studio offers various experiences to meditate, move, and be mindful in nature. Katie Dutcher is a co-founder and lead teacher at Monterey Bay Meditation Studio, and a mindfulness coach at Flourish & Bloom. She loves teaching mindfulness practices to individuals and groups young and old. 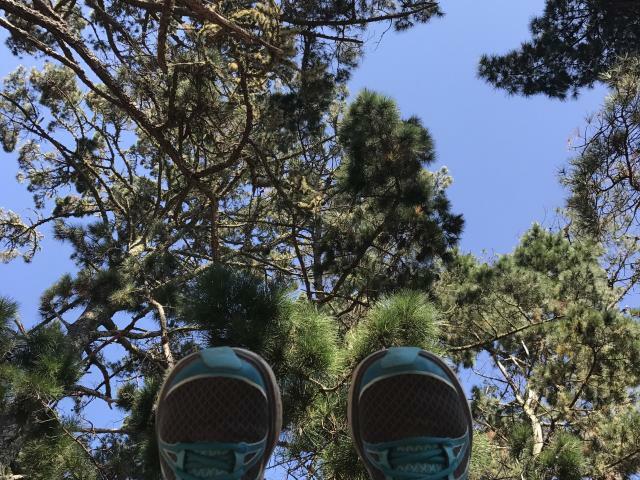 Whether open-water swimming at Lover’s Point, hiking at Point Lobos, or meditating at Carmel river State Beach, being outdoors on the Monterey peninsula is Katie’s favorite thing.